Now that WMI Summer 2018 has come to an end, we thought we would showcase the experience of one participant, Courtney Hersch, who kept a journal throughout the summer! Hope you enjoy Week 1! After a long 13 hour flight and an hour drive, I made it to Jerusalem! 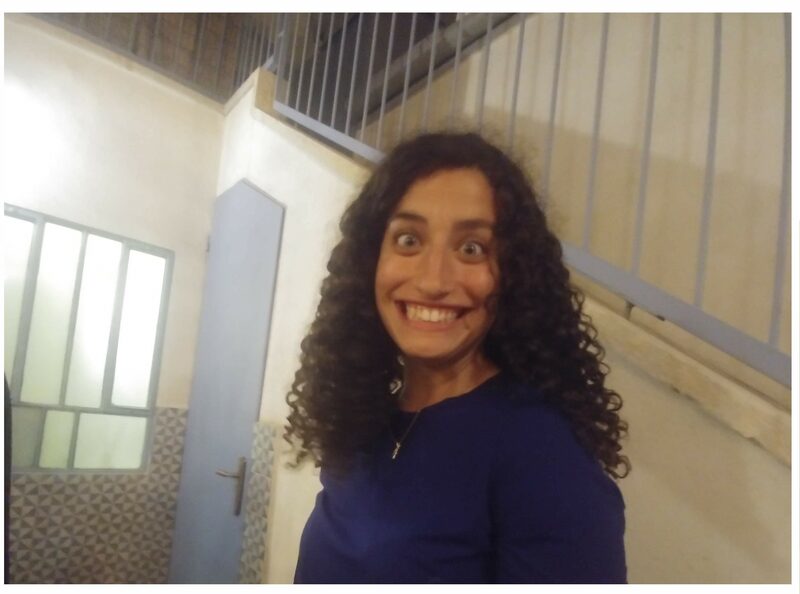 After the Nesher van dropped me off at the Rova parking lot, I made my way to the historic Hurva Synagogue where I met the first person on the Way More Israel Program – Alyssa! She was so nice, showing me around the beautiful stone streets of the Old City. Immediately when I arrived at the dorm, I was greeted with so many smiling faces and great personalities. Within 10 minutes of my arrival, I left my packed bag in my room and made my way to the shuk with people I had only just met. I was extremely nervous coming to the program a week late because I was afraid that everybody got the time to know each other and form their own friends group and I would not fit in. But my experience was quite the opposite. Every single person on the program went out of their way to talk to me and make me feel as if I have been here for weeks when I was only here for a day. 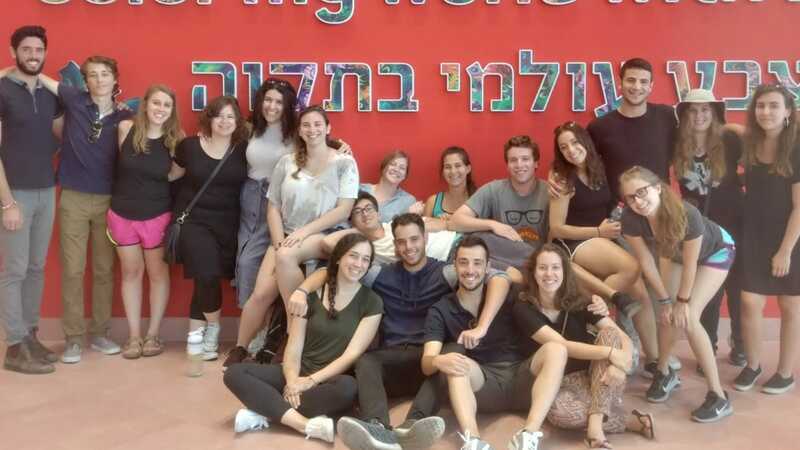 The next day, I was introduced to Ulpan – a class teaching us how to speak Hebrew. We reviewed the alphabet, were taught the song ‘Mahapecha Shel Simcha’ – a song about happiness, and did yoga on the roof. That’s another thing – the roof has a BEAUTIFUL view of the old city. Absolutely gorgeous. After free time where I got lunch consisting of shawarma and Israeli salad, we went to a start-up company called Mobileye and listened to a talk from Mr. Mois Navon. He taught us about how the Jewish people have always had a sense of purpose, and how that pushes us to be successful and have innovative ideas. He showed us the chip he developed, that has made automated vehicles a reality. Free morning! 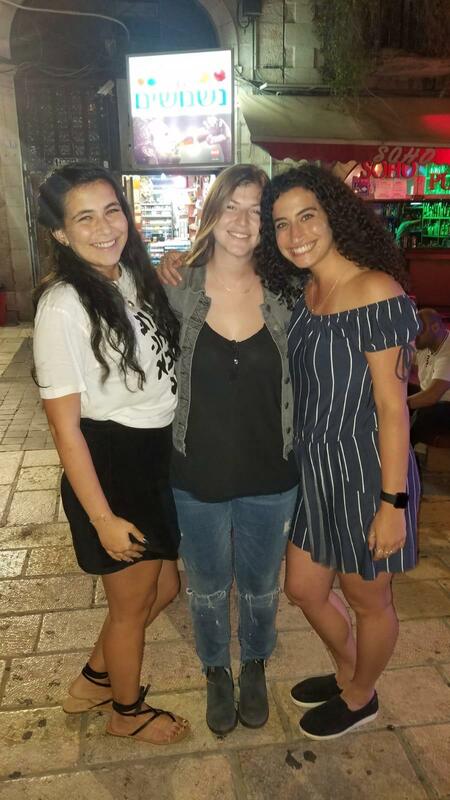 While many people slept in, I went to the shuk with my friend to meet up with a woman named Elana who was participating in my internship with me. The walk down Jaffa Street was beautiful and filled with so many shops and people. When I met up with Elana, she taught me about all of my responsibilities and showed me the facility where I will be interning. She was extremely nice, welcoming and informative. Later in the day, we made our way to an Olami event. 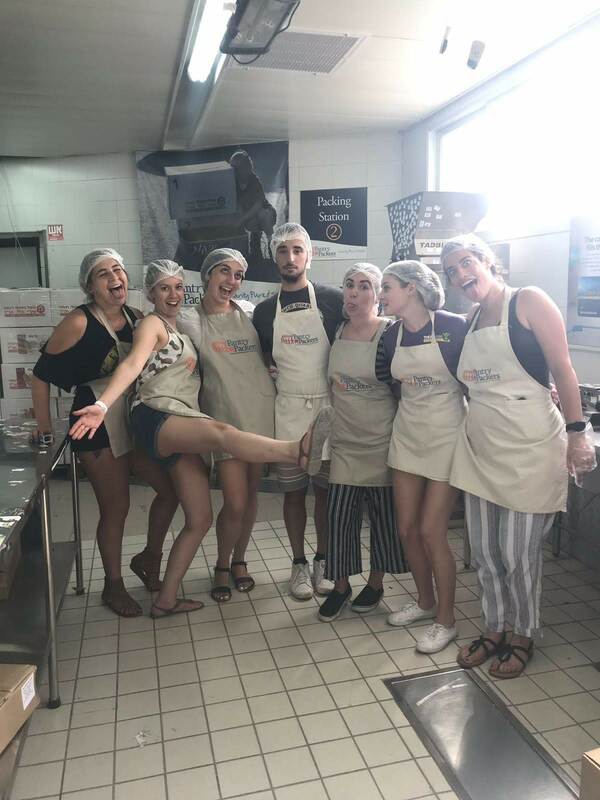 Olami is one of the organisations that sponsors participants on Way More Israel, and the event was filled with many other Jewish young adults from all around the world! The beginning of the event included a tour of the Old City, where we saw the Christian quarter and discussed the Muslim and Armenian Quarters. After the walk, we were all so hungry and Olami provided us with mouthwatering food. At the end of the night, there was a concert with a lot of Israeli music, which was a blast! This morning started off with a Q & A with the director Elisheva Bernstein about the spiritual aspect of Judaism. It was a really interesting and informative session where we discussed aspects such as afterlife, sexuality, and gender. 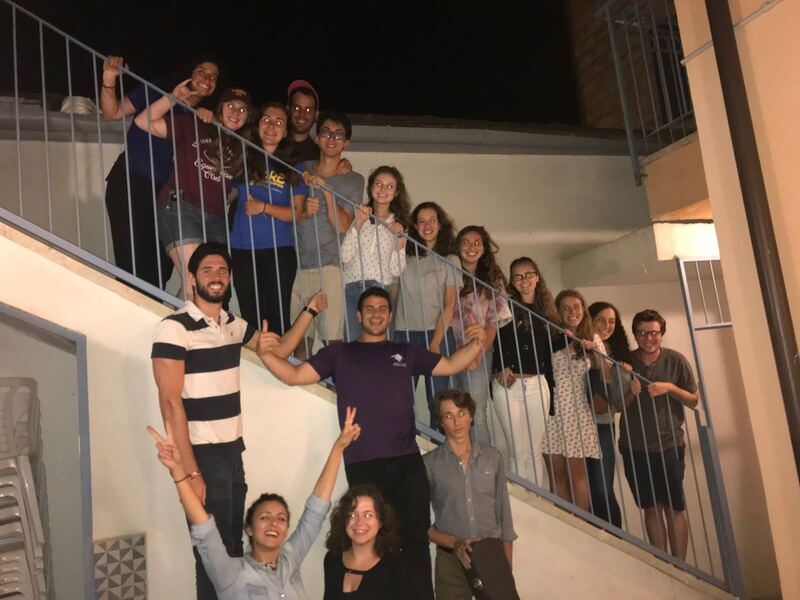 Afterwards, we had Ulpan, and it was apparent that everybody was learning how to communicate with the native tongue that will be useful in our internships or in Israel in general. That afternoon, we went to the Onward Israel “Connections” event located in Tel Aviv. The event consisted of over 2000 young Jewish adults all of whom were interning in Israel. I was able to meet up with many of my friends participating in other programs, meet MANY other individuals, eat great food, and listen to presentations by various professionals teaching us about their work. It was a really nice event that was very informative! That night, my friend and I decided to walk around the Old City. The Festival of Lights is this weekend, and the entire Old City was covered in lights and color. The Hurva Synagogue had a fantastic light show! I watched people dancing with lights, walking around with balloons, eating cotton candy, and enjoying life with friends and family. It was really a time of peace and happiness. This program is amazing. It amazes me that I am in the Old City. I am living in Jerusalem for 7 weeks. JERUSALEM. This experience is one that will always be with me for the rest of my life, and I am so thankful to have this opportunity. This morning started off with a Psychiatry and Judaism discussion with Dr. Freedman. We learned about the biological aspects of anxiety as well as Rabbi Akiva’s spiritual approach to how to heal it. It taught me about how if we look at everything with a positive attitude, it will likely lead to a positive outcome. Then, after Ulpan, we volunteered at Pantry Packers, where we packed boxes of food for families in need. After Pantry Packers, a big group of us decided to go to Tel Aviv for the weekend. Getting ready for Shabbat! One of the amazing things about Way More Israel is that we have the opportunity to explore Israel independently. This past weekend, we had a free weekend where we can go do whatever we want. A group of friends and I went to Tel Aviv this past weekend. There we explored the beaches, Rothchild Street, and we walked to Jaffa. In Tel Aviv, the beaches and the Mediterranean Sea was superb. The water was so refreshing after spending time on the hot sand. A couple of us saw some jellyfish as well! We walked to Jaffa from Tel Aviv on Saturday evening. We watched the beautiful sunset, ate good food, and we heard the bells chime. Ultimately, it was a weekend I will never forget! !